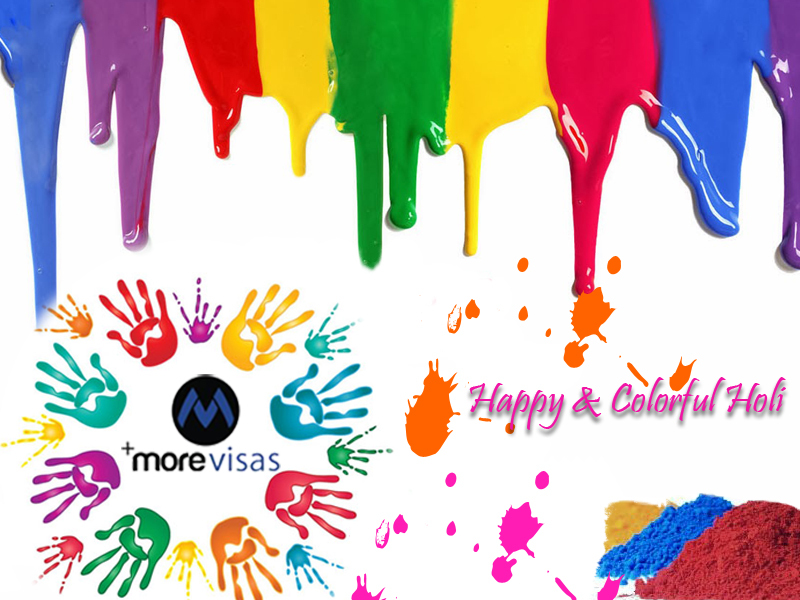 Morevisas wishes a very Happy and Colorful Holi – Festival of colors also known as Vasant Utsav is a spring celebration of Love , fun & frolic with music and colors . 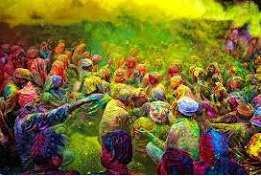 People of all ages play this festival by tossing colored powders and dyed water at each other .The Utsav stats with bonfire on the night before the festival and next day with color , food , music and dance . Holi is celebrated all over India in different ways as per their local culture. Interestingly there is a small town in Spain Haro where Haro Wine Festival is celebrated . People wearing white shirts join the groups and are soaked head to toe in fermented grape juice. Thousands of tourists attending purple party are wine soaked. This is the only time when McDonald serves wine in their outlets. 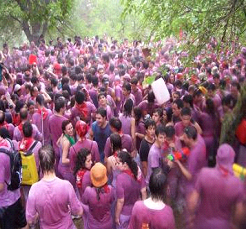 Bullfighting to wine-tasting, shirt soaking are few high lights of this festival. 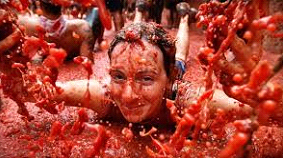 La Tomatina festival is celebrated on the last Wednesday of August in Bunol Spain . Thousands of people come from all corners of the world to participate in this biggest food fight of the world . Tones of ripe tomatoes are thrown into the streets, the weeklong festival is featured with music fireworks , parades and dancing . It is strongly encouraged to wear protective safety goggles and squish the tomatoes before throwing at one another. When the fight ends water cannons are fired on the crowd and cleaning process of the town starts. Bunol is in the province of Valencia Spain and is easily reachable by air or road. South Korean Mud festival is celebrated during every summer in Boryeong . Borgeong mud which is rich in mineral is treated as beauty product for some people. Festival involves getting dirty with the mud which is attracting thousands of visitors from all over the world. Mud wrestling, mud races and mud boot camp are few of the contests in this festival. Morevisas can plan your visits to these places to participate and experience the fun. Our experienced consultants will guide you to obtain the necessary visa and can also arrange for a tailor made package along with accommodation, air tickets and sightseeing options as per your budget and preference.